Teachers born between 1950 and 1980 makeup both the baby-boom generation and those known as “Generation X.” The music with which they grew up is a reflection of the historical periods that produced it – Vietnam, the Cold War, the Fall of Communism, September 11, 2001, and the events that followed. Teachers of social studies and language arts have a rich treasure trove of material they can use to teach the events and ideas or to help students reflect and react to the curricular standards called for by the courses that they teach. Back in the days of transparencies and overhead projectors, one way to present music and lyrics for students to learn from was to create an overhead and project a song’s lyrics or print up the lyrics and provide it to the students as a handout. Students could annotate the printed copy during their listening session or during class discussion. Things have changed since those days so long ago. In the world of social media, with the advent of Youtube, Spotify, and Pandora, students can examine popular music in the context of multi-media. Teachers can use smart boards and LCD projectors to share music, lyrics, and images that carry the themes and messages of the artist. The challenge is to use musical and visual content that extends the curriculum and leads the student to use their knowledge they have gained in the classroom and apply it to interpreting or analyzing the artistic material at hand. To move up Bloom’s Taxonomy of Learning even more effectively, students can create their own poetry, rap, song, visual art, or video using popular music as inspiration. Teachers must remind students to stay within the curriculum as they create by developing checklists or rubrics that outline what students must achieve. The Classic Rock era produced a genre of music known as “progressive rock,” which tackled many of the social and political themes that teachers wanted to capture as the 1960s morphed into the 1970s. One band that frequently reflected social and historical concepts was the Canadian trio Rush, led by the unique vocals of Geddy Lee, employing the reflective lyrics of drummer Neil Peart. Peart often drew on literary and historical references, forcing his young listeners to think as they jammed to the guitar leads of Alex Lifeson. Lyrics found in such works as the album “2112” were inspired by Ayn Rand’s “Anthem.” The 1977 album “A Farewell to Kings” contains the masterwork “Xanadu,” based on Samuel Taylor Coleridge’s poem “Kubla Khan.” Rush tackled many other social and political issues in their 40 years on the rock stage: “Subdivisions” discussed peer pressure in suburban America; “The Trees” has been interpreted an allegory for the labor union movement. “The Camera Eye” compared the cities of London and New York, while “Red Barchetta,” based on a 1973 short story by Richard Foster entitled “A Nice Morning Drive,” looked into a world where the internal combustion engine was outlawed. Peart discusses the fall of Communism and the pitfalls of capitalism in the lyrics of his song “Heresy.” “Witch Hunt” is found on their 1980 LP “Moving Pictures,” a song that openly attacks intolerance and prejudice. The list goes on. Modern music can now be presented to students using YouTube, with many songs having their lyrics embedded in the images themselves. Students have the opportunity to discuss not only the original meaning of the lyrics and the historical context in which a given song was written, but they also have the chance to analyze and discuss a video director’s use of symbolism, perspective, and emotion. 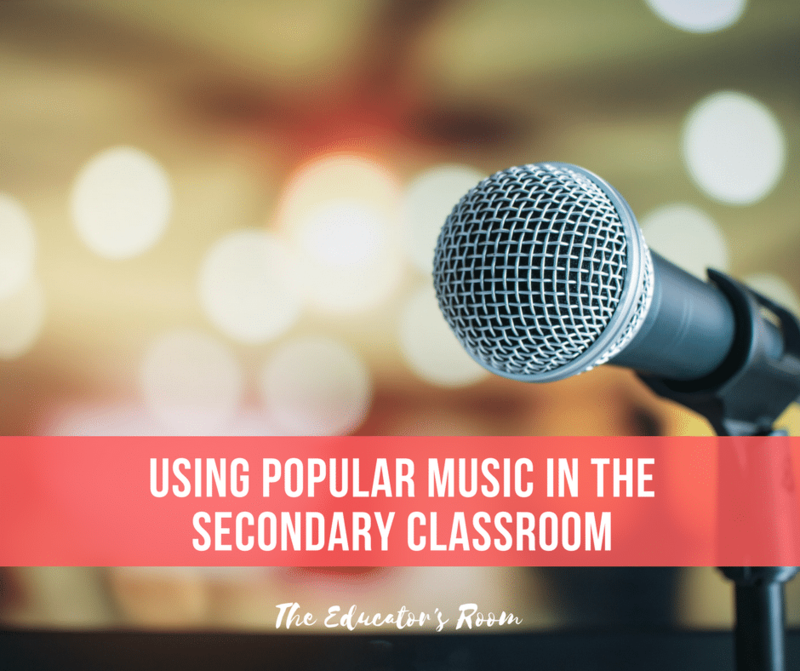 Conversely, teachers may choose to keep images out of the discussion, allowing students to apply their own imagery to the lyrics of the song being discussed. The Genius website provides a searchable database of songs where the lyrics are annotated by the website’s users and sometimes the artists themselves (as Lin-Manuel Miranda did with Hamilton: the Original Broadway cast Recording), allowing students to conduct deeper research into the artist’s message and intent. Students should also be encouraged to share songs that have shaped their own worldview or experience as long as the songs are appropriate for the classroom of the age level at hand and the videos have been previewed and approved by the teacher, who needs to keep parents and school guidelines in mind when using social media as a method of teaching. Multimedia, if wisely incorporated into instruction, allows for multi-dimensional, multicultural, cross-curricular exploration of a given topic, whether it be in social studies or language arts. Using today’s technology in the form of the Internet, social media, and modern projection capabilities can stimulate students to think, reflect, create, and share within the classroom, and hopefully, to a wider audience outside the class as they develop their own talents and interests. Using music, lyrics, and images allows the teacher to make real for their students their own experience in an authentic and meaningful way. When teachers are able to reach their students at the deepest level that music can attain, they are engaging in the strongest form of teaching and learning.